Mount Rainier hiking Skyscraper Mountain is a day hike that not everyone will enjoy. However, anyone can hike the Wonderland Trail to the jumping off point to Skyscraper Mountain, and there are good reasons to do so. 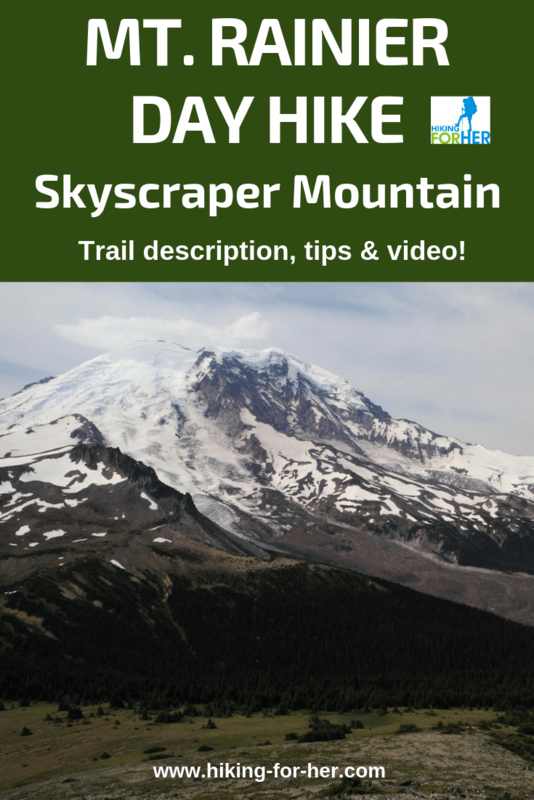 This Rainier hiking trail description, video and accompanying photos will give you the complete scoop! There is an entrance fee to the park. Free parking is available at Sunrise. Skyscraper Peak, another 0.4 miles and an additional gain of 400 feet. The summit is ~7,000 feet (you started at 6,400 feet at Sunrise, but have lost and gained elevation along the way). To soak in all of the detail on the flowers and scenery, view this video full screen by hitting the two arrows at the right bottom corner. This is a two-part trailhead, meaning you start out from the Sunrise parking area and then find an informal trailhead of sorts about a mile from your destination (3 miles into the hike). Drive to Sunrise on Highway 410 (east or westbound). Take the White River Entrance into the national park and pay your day use fee. Continue driving upward to Sunrise and park your vehicle anywhere in the ample paved lot (no parking fee). You will see a wide trail with dirt steps, heading off from the parking area upward a short distance to Sourdough Ridge. On the ridge, take a left and head toward Mount Rainier. Dege Peak lies in the opposite direction. Already you will have enhanced your view of Mount Rainier, and earned a good perspective on the spectacular place you find yourself. Your destination is Frozen Lake, about a mile and a half from Sunrise, with its five way junction. Yes, it stays frozen throughout the summer, although the edges thaw out to provide drinking water for Sunrise. For this hike, you must drop off toward Berkeley Park, heading for looming Skyscraper Peak. The nearly straight ahead trail you want will be signed "Mystic Lake", and is on the famed Wonderland Trail. Your view at Frozen Lake (not in the photo but to your right) at the five way intersection. Note Burroughs Mountain to the left, partially and temporarily blocking your view of Rainier. You'll be winding your way downward through flower meadows, seasonal stream crossings and rocky outcrops, and although you may feel dismayed at losing elevation, it's all for a good cause: Skyscraper Pass. It's likely that you'll hear marmots whistling and may see them lumbering across flower meadows (see video). Mountain goats, raptors, ground squirrels and swarms of butterflies are also possibilities. Around 2.5 miles there will be a trail (Northern Loop Trail) branching off to explore more of Berkeley Park. Ignore it and stay on the Wonderland Trail (although if alpine wild flowers are your jam, it's a great scenic diversion on the way back). The trail bumps along up to a small pass (~3.4 miles from your origination point). Hiker on the trail to Skyscraper Pass. Note Mount Rainier's lenticular cloud hat! You will see a beaten in path (no signage) taking off on the right side of the trail, obviously heading for the top of Skyscraper. This trail does not mess around with switchbacks or lateral traverses, so gulp some water and eat a snack before you head up the rocky spine. It's short, but can challenge tired bodies. Sourdough Ridge is amazing in its own right, with impressive and expanding views of Mount Rainier as you approach Frozen Lake. The footing is solid, the trail is wide, and you'll be able to admire the skilled stonework on a retaining wall to your right as you cruise along toward your five way intersection. Once you're on the Wonderland Trail at the Frozen Lake junction, smooth sailing all the way to Skyscraper Pass! If you are uneasy with steep rocky footing and a sense of airy spaciousness, you won't enjoy getting up to the high point on this peak. Some hikers find that coming off a steep place on less than ideal footing is not worth the effort to go up. Lingering snow can complicate matters. Gauge your own interest in an additional 400 feet of uphill exertion (and another 400 feet of steep downhill), and perhaps call it a day at the pass. The Skyscraper summit area is quite small, so if there are hikers ahead of you, you're going to have to get cozy (and that is considered bad form by some hikers who got there first for the solitude). You will have exposure as you sit down to eat your snack, but if you stick to the center area you won't feel it as much. On a cloudy or foggy day, it's probably not worth your while to gain the summit (no 360 views), and can be hazardous if you stray off the spine. As with most hikes leaving from Sunrise, this one offers you views stacked on top of views - exactly like the observation deck of a skyscraper! It's just a guess, but perhaps that's how this peak got its name. Skyscraper Mountain is not something everyone does at Sunrise, so you'll have fewer folks around as you proceed to the summit. But you will encounter backpackers on the Wonderland Trail, and have a chance to chat with them if they're resting along the trail. 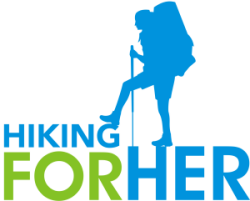 It's always a surprise to find out how far hikers travel to hike at Mount Rainier! The hike to Skyscraper Mountain takes you through one corner of Berkeley Park, a wildflower extravaganza that is not topped anywhere in the national park in high summer. The video gives you a taste of this floral heaven, and a bit of time with a marmot cavorting and snacking through this wildflower meadow on the way to Skyscraper. If you decide that the rougher trail up to the top of Skyscraper, at around 7,000 feet, isn't for you, no loss! You've already covered a lot of ground, gotten great views of Rainier, and probably spotted a marmot or two. But if you achieve the summit of Skyscraper Mountain, you'll have 360 degree views and may never want to leave! With high visibility, you will spot Mount Baker on the northern horizon. White River and its steep walled valley, which you drove across on your way up to Sunrise, is visible directly below the summit. You can gaze off toward Mystic Lake and wonder what that's like as a destination (spoiler: it's fabulous). Grand Park and Fremont Lookout are also right there for you to add to your Rainier hike list for another day. If this trail description hasn't covered all of your questions, contact me and we'll get you all sorted out. This is one hike you don't want to miss!